I ate a whole pizza in a night. I didn’t know the feeling of being full. 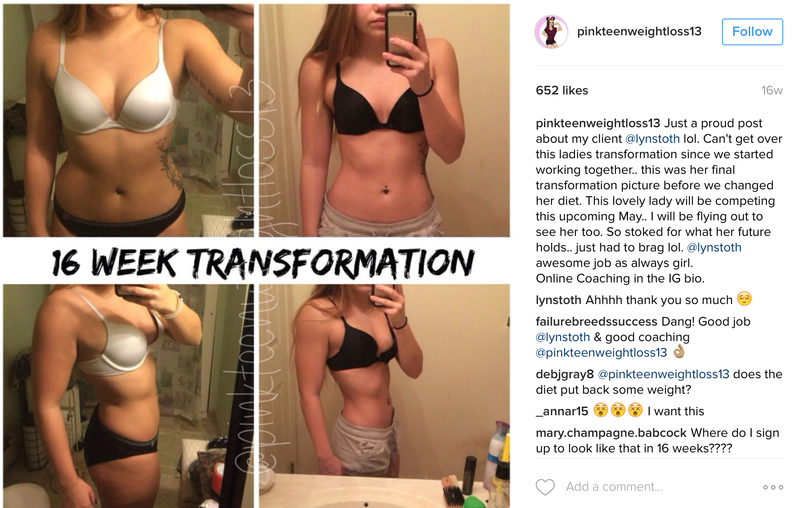 Most of us can agree that we’ve done something similar during a wild weekend, but for MacKenzie, this was not a one-time thing, and the odds were stacked against her, making her fitness transformation even more impressive. 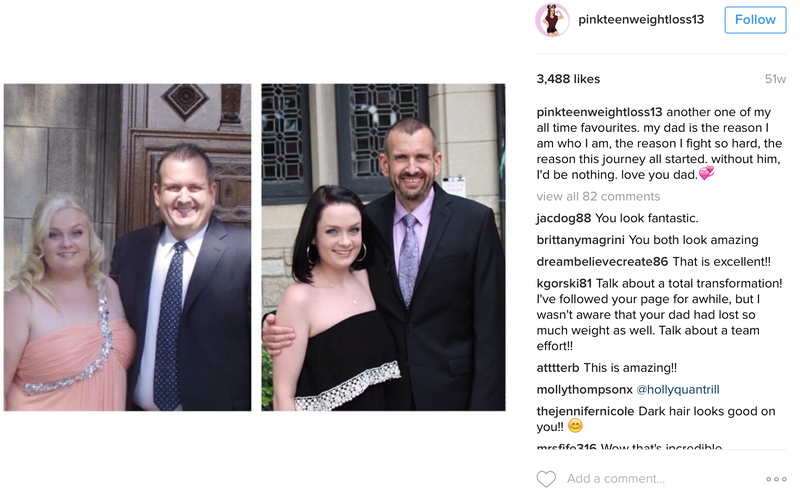 Walker entered eighth grade weighing in at 223 pounds, and she learned how to ward off bullies by making fun of herself for them. Worrying about being bullied was the least of her problems. Her grandmother lost a leg to type two diabetes, which MacKenzie was at risk for as well. When it came time to shop for her graduation dress, she had a life-changing realization. 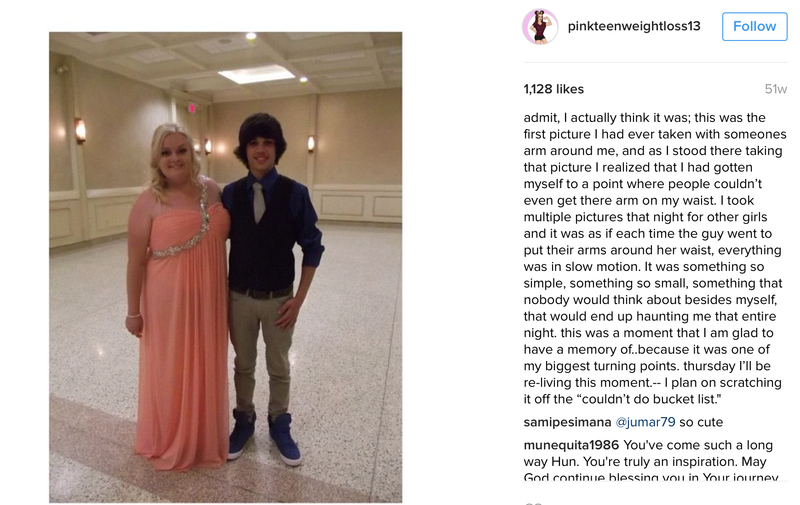 She initially went to look for a dress in a size 16 and was directed to another store, where she left with a size 22 dress. It’s unimaginable what MacKenzie went through at such a young age, and her transformation was the result of her incredible maturity. 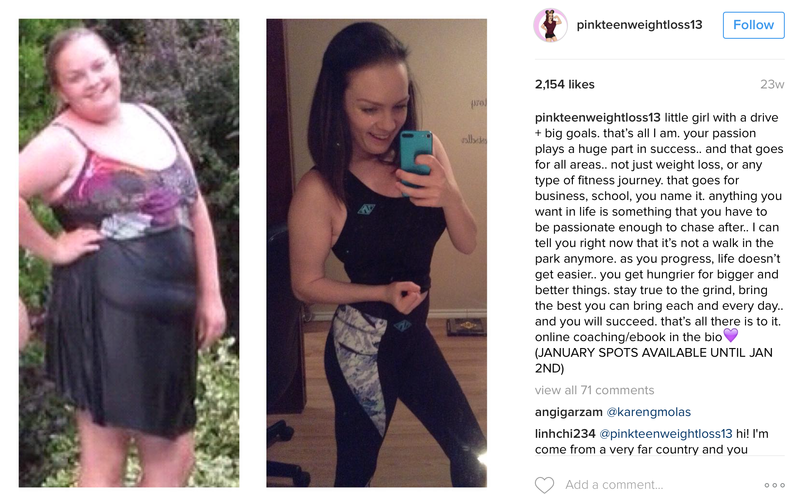 Walking away with a size 22 dress is what inspired her to begin this fitness journey. That was where my heart just kind of sank. Thoughts started rolling in about dying, of not waking up one morning. Before MacKenzie’s shopping trip, she made a promise to her best guy friend that they would kiss on the day of their graduation. On that night, she found that she couldn’t bring herself to kiss him. I couldn’t even look him in the eyes because I felt so bad for him. After feeling so embarrassed about the dress and the kiss, she vowed to go on a diet, but she couldn’t stick to it. 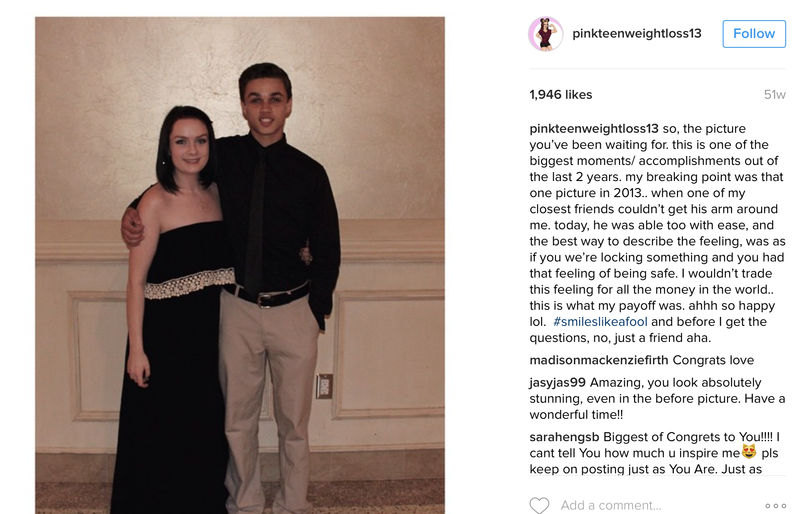 When September came, MacKenzie started high school, weighing 200 pounds. Everyone enters high school with insecurities, but MacKenzie was haunted by hers. 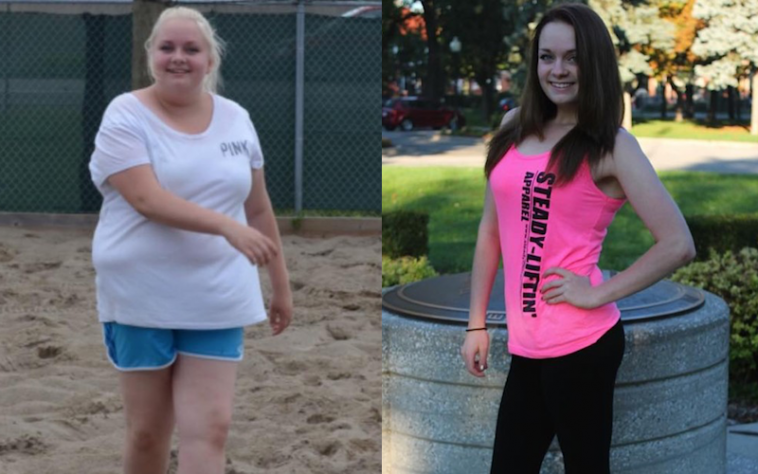 She walked the halls imagining everyone thinking of her as the “fat girl.” She decided to give weight loss another shot. This time, she wasn’t alone. This is it. I am doing this one last time. Please don’t let me quit. She made quick headway, dropping 45 pounds by December 2013. How? She stopped snacking at night, prepared healthy meals every week, lunches and dinners on the weekends, and went for nightly runs around a nearby park. 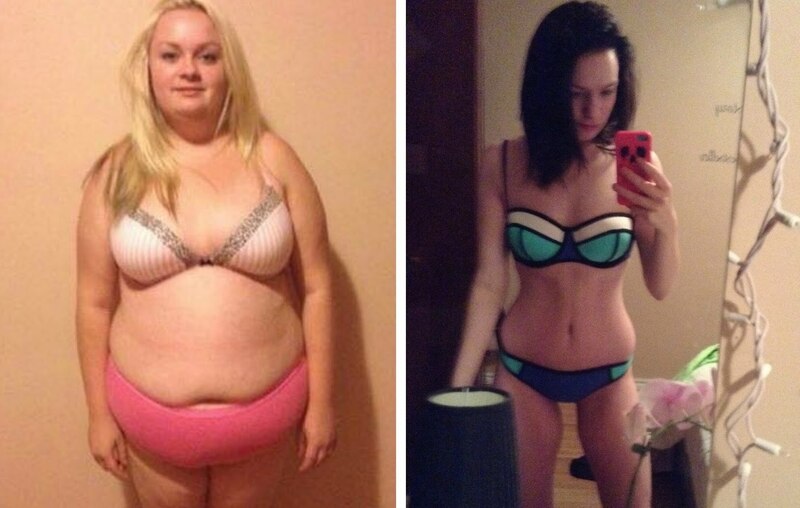 She started with intense cardio and dieting, which made the pounds come off pretty fast. 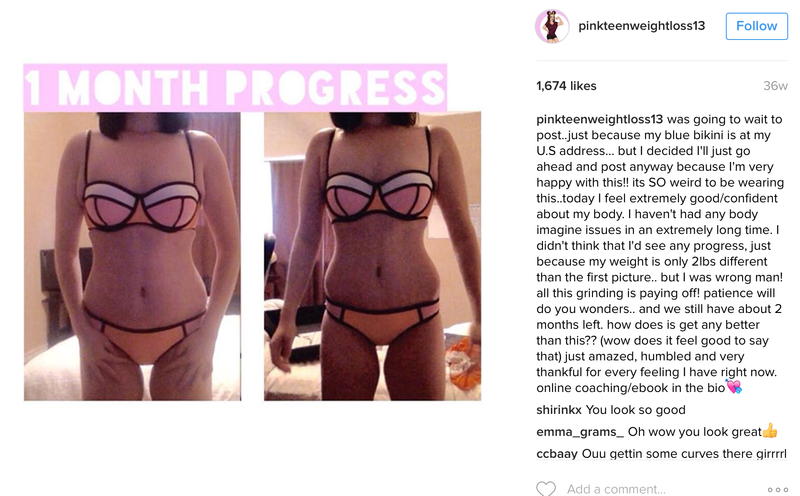 Once she joined Instagram in December, she followed numerous Instafamous users and was inspired by their physical sculpting. She discovered the Insanity training program. And then other Instagrammers told her that she wasn’t eating enough and needed to cut back on cardio. Many dieters and fitness nuts are confused about why cardio and dieting doesn’t work on its own. Well, it has a lot to do with the different types of fat that give us a little extra cushion. We have intramuscular fat, which is not the squishy adipose tissue that you call your jelly rolls. This is the fat that your body uses in its daily calorie burning, including exercise. Since your body budgets for this exercise, doing nothing but steady cardio will not make any difference. Your body will eventually adjust to it. How do you get rid of this stubborn flab? 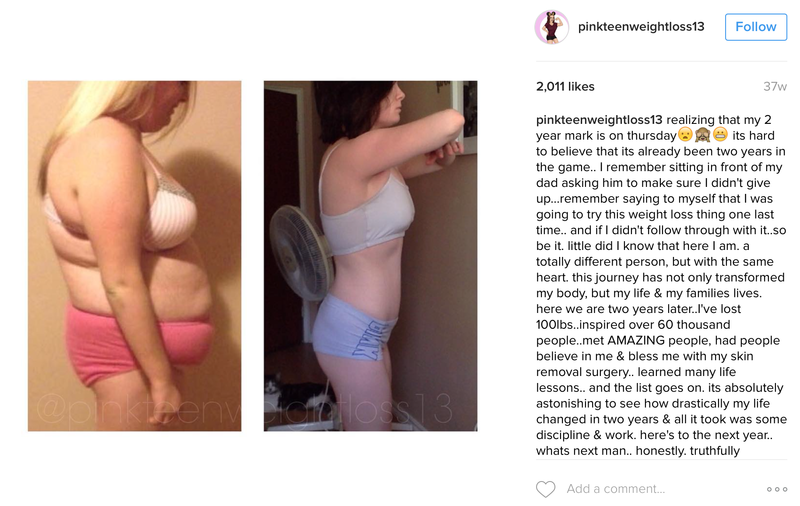 Well, MacKenzie started eating more, carb cycling, and weight-training. There are other problems of having a large hang in the front: a shifted center of gravity, which caused back pain for MacKenzie, an annoying itch around the hang, and feeling overheated. She decided that she’d had enough and used the hang as motivation. 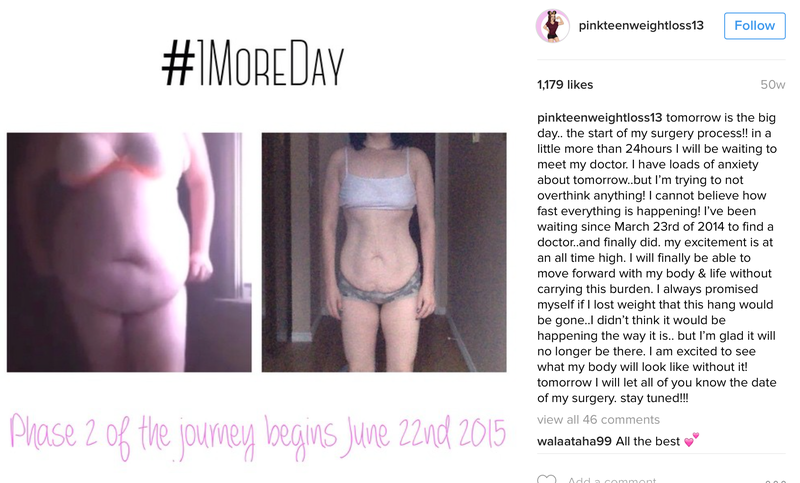 When it became too much, she asked her trainer what to do, and was told she’d have to get an abdominoplasty (a.k.a a tummy tuck) to remove the hang. It’s important to understand their motivation and where they are psychologically. You don’t want to operate on something you don’t have to. It wasn’t only her age that was an obstacle to her. Most surgeons are not eager to give a tummy tuck to a woman before she plans on having children. However, in MacKenzie’s case, her surgeon, Dr. Anthony Yuon, believed that she was a mature young woman with a healthy attitude. There are some 16-year-olds who are amazingly secure and have good insight, and there are 25-year-olds who are clueless. So, as long they’re mature enough to follow instructions, having this type of operation would be very reasonable. She wasn’t asking for a Barbie doll body. She told me what she wanted to lose—and it was all the signs of her previous life, the life before she took as good care of herself as she is now. MacKenzie and her father had done their research before visiting Dr. Youn’s office. They were well-informed about the procedure, and it’s time frame—which is divided up into stages: the immediate post-op and the extended post-op period. Complete recovery could take up to 12–18 months, but the patient should be able to exercise again four weeks after the surgery. It wasn’t so much the recovery that worried MacKenzie and her father, but the price tag of the operation: $9,000. This was way out of the price range for a middle class, hard-working family. Despite the difficulty of finances, MacKenzie could not be stopped. 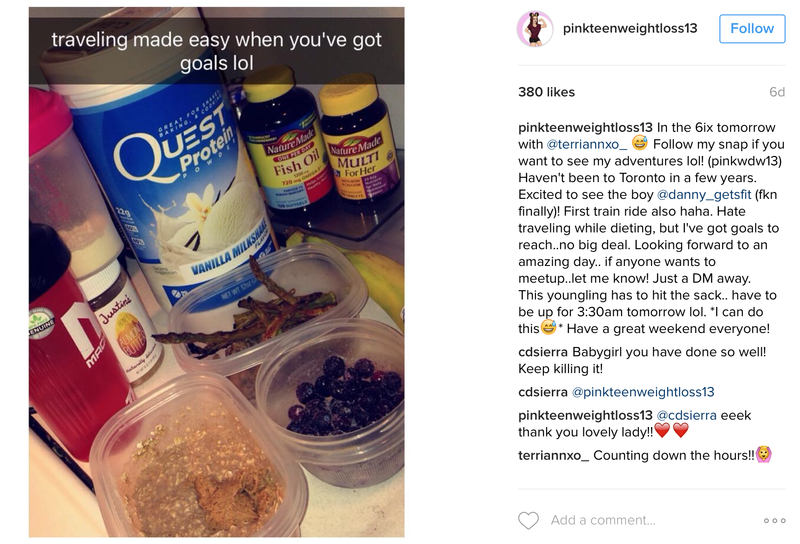 She set up a GoFundMe page, which was supported primarily by her Instagram followers. 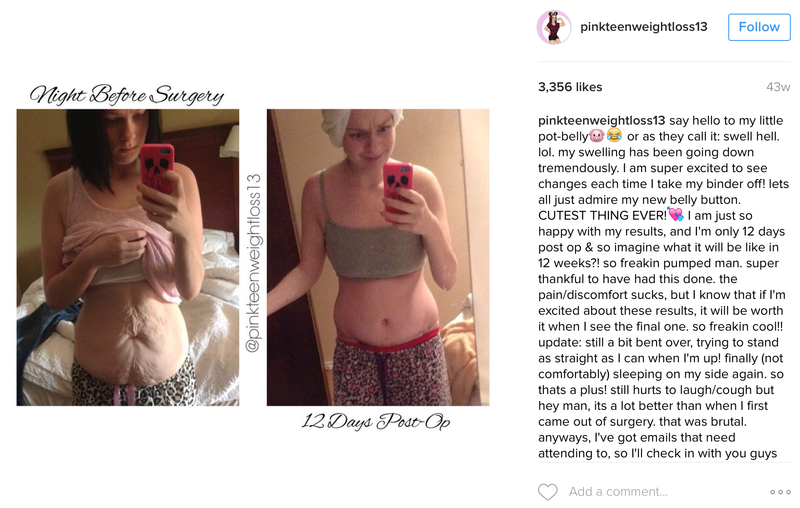 With the help of her trainer, Chris Jones, a well-known fitness expert in the online world, and her 700,000 followers, she had the funds for the surgery. Through the entire process and her recovery, MacKenzie’s father Scott has been her closest supporter. The father-daughter team has been supporting each others’ fitness journeys every since. Scott Walker went through his own surgery, a gastric bypass procedure, which helped him go from 276 pounds to 160 pounds. They are actively involved in each other’s fitness journeys, as he manages her personal training website, and she keeps him on track. The surgery went well, and Dr. Yuon was able to remove 3 pounds of excess skin, and he also tightened the abdominal muscles. She spent the night in the hospital, then returned the next day to Ontario with her dad. For an entire week, MacKenzie had to stay bent over, and the recovery was extremely painful. 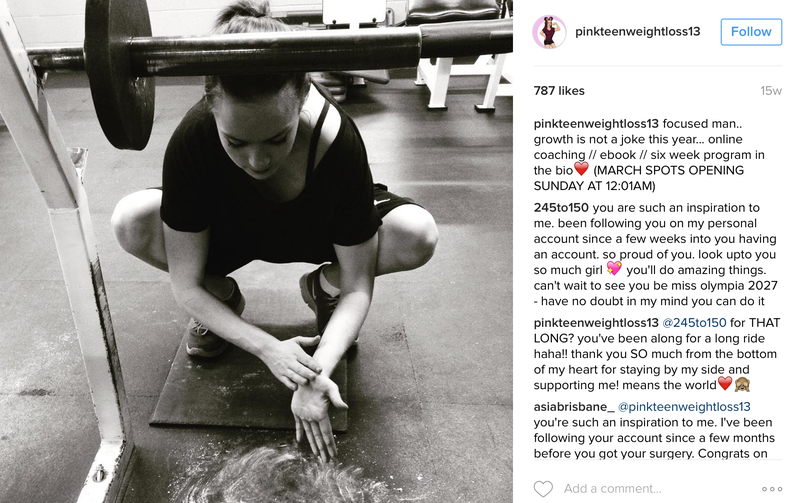 It wasn’t even two months before MacKenzie was back in the gym, and she was back to coaching others and posting transformation photos by the 12th day after her surgery. Now that she has come so far in her transformation, she is excited to show off her hard work, especially her tummy (abs). To make it official, she bought a bikini for her vacation birthday celebration in December. Has This Real-Life Barbie Taken Plastic Surgery Too Far?